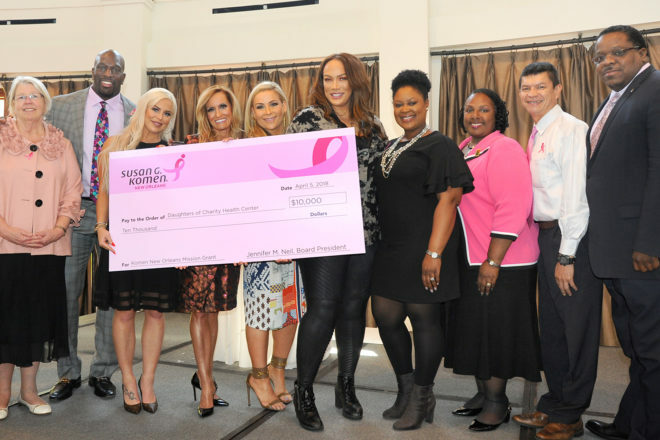 This year we are proud to announce eight local grantees that will help us further our mission in the Greater New Orleans area with a grand total of $275,000 toward breast cancer screening and treatment support in our community. Thank you for partnering with us to fulfill the Komen promise. Together, we can eradicate breast cancer by empowering people, energizing science to find the cures, and ensuring quality care for all!